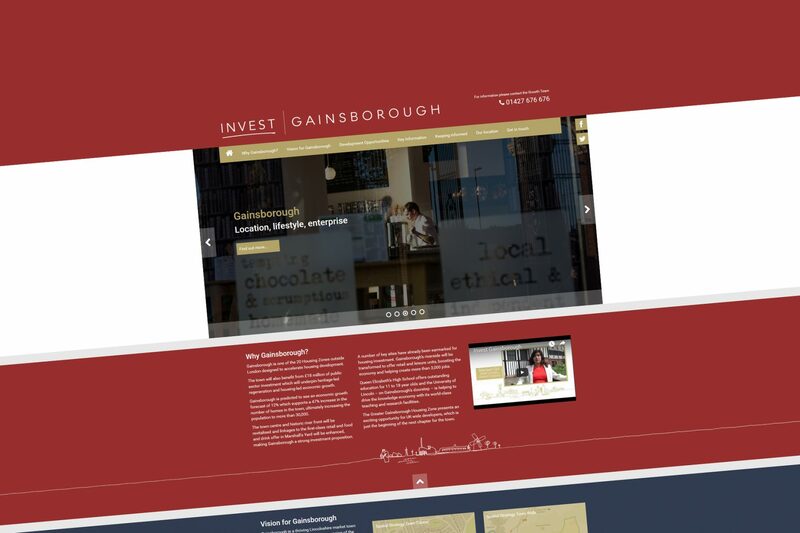 Working in partnership with a local authority and studio | REAL in the preparation of Invest | Gainsborough website. West Lindsey District Council wanted a new way of seeking invest for Gainsborough with interactive mapping and services. The website is fully responsive design with Content Management System (CMS) so the client can make edits as and when they like.